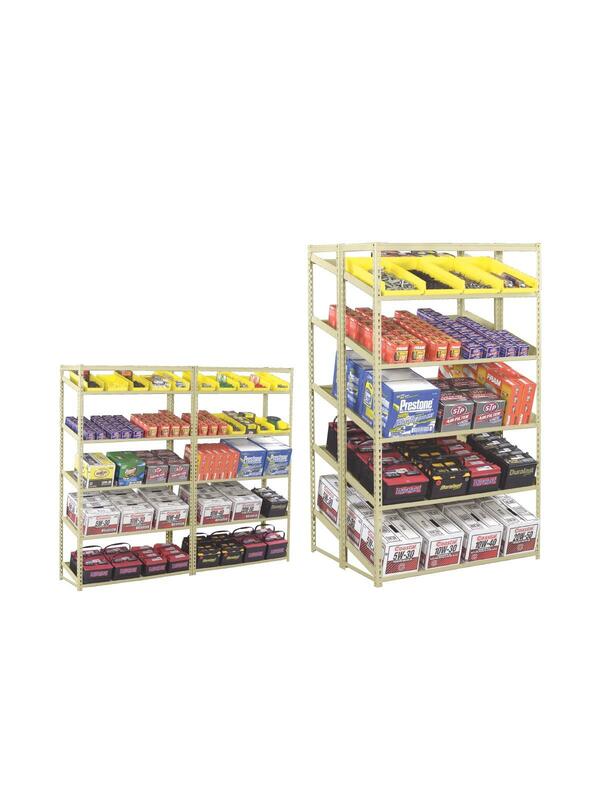 Tennsco Sloping Shelf Units | Carolina Packaging & Supply, Inc.
Sloped shelves provide convenient product access and easy identification. Parts, bins and boxes slide forward for easy picking. Open access from all sides. Place back to back to double shelf depth. Canopy top has box formed construction. Features 2" side flange to retain product. 1/2" front lip acts as a product stop. Heavy gauge shelf supports. 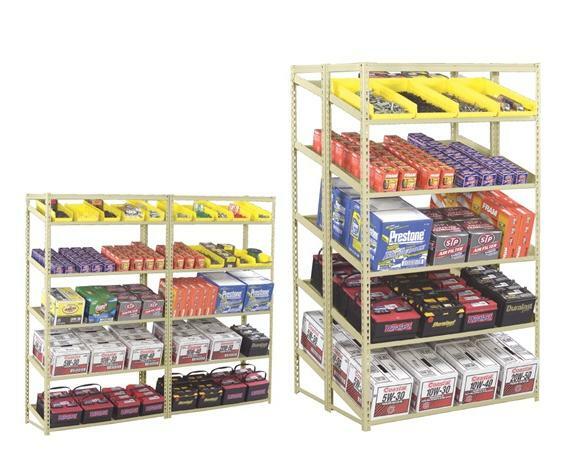 Shelves support up to 450 lb. loads. Boltless construction - easy assembly with only a mallet. 5 sloping steel shelves per unit. 18"D. shelves slope 12 degrees. 24"D. shelves slope 14 degrees. 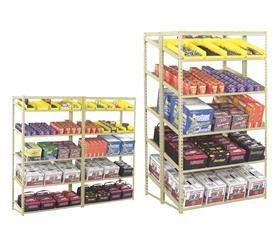 Starter unit can be used individually or combined with adder units to form a row of shelving. Medium Gray or Sand finish. FOB Shipping Point.